When awk reads a line of a file, it divides the line in fields based on the specified input field separator, FS, which is an awk variable (see Section 6.3.2). This variable is predefined to be one or more spaces or tabs. The backslash in this example marks the continuation of a line. See Section 3.3.2. 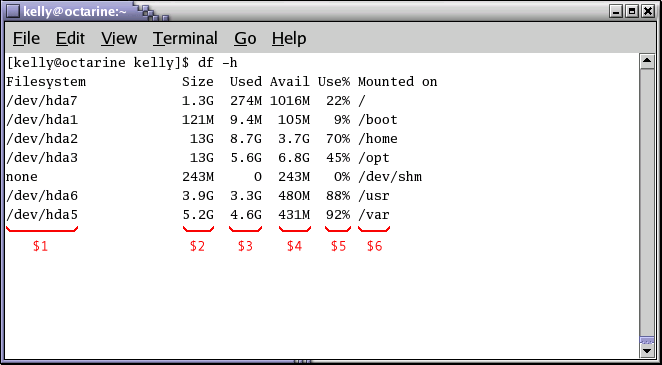 As an illustration, we will build a report that displays our most loaded partitions. See Section 6.2.2.